A.F.C. London Gazette 3 June 1919. 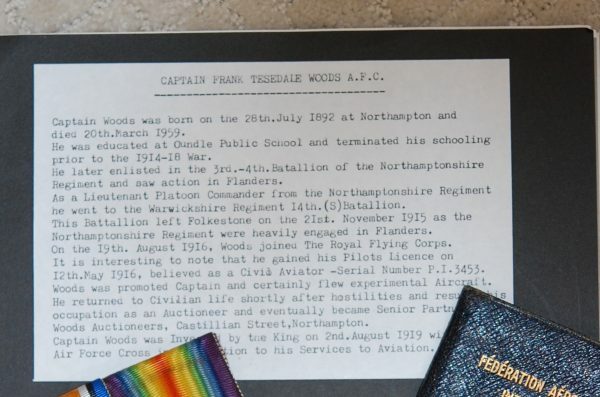 Frank Teesdale Woods was born in Northampton on 28 July 1892, and educated at Oundle School, Northamptonshire. From 1911 he was employed as a Land Agent in the family firm of Woods & Co., Auctioneers. 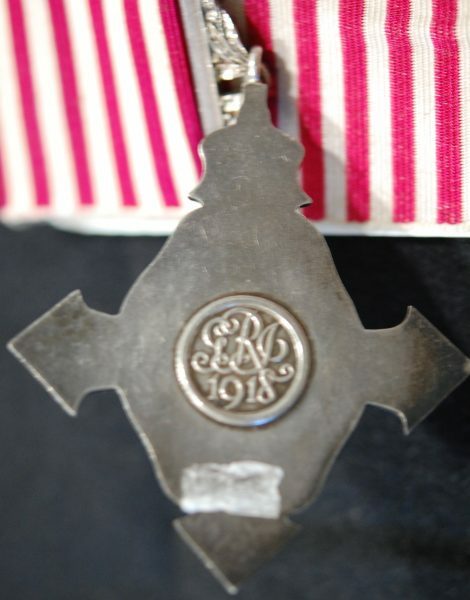 On the outbreak of the Great War he attested into the Royal Warwickshire Regiment, and was commissioned Second Lieutenant in the Northamptonshire Regiment on 23 August 1915. 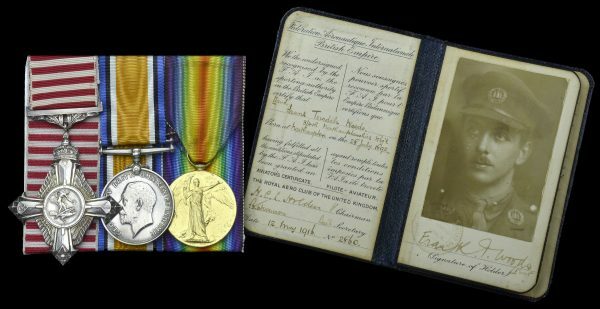 He qualified as a Pilot on 12 May 1916, and was seconded for duty with the Royal Flying Corps on 9 August 1916, joining No. 36 Squadron as an Instructor. On 1 October 1916 he transferred to No. 27 Squadron in France, where he flew Martinsyde G100 fighters, before joining No. 70 Squadron, this time flying Sopwith Strutters. After 6 months flying at the Front, Woods was posted to Home Establishment on 28 March 1917, and the following month he was appointed a Test Pilot at R.A.F. Hendon, working under Geoffrey de Havilland, the aviation pioneer and aircraft engineer. 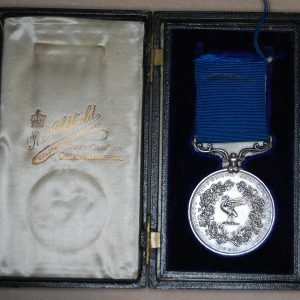 For this work he was awarded the Air Force Cross, and was invested with it by H.M. King George V at Buckingham Palace on 2 August 1919. 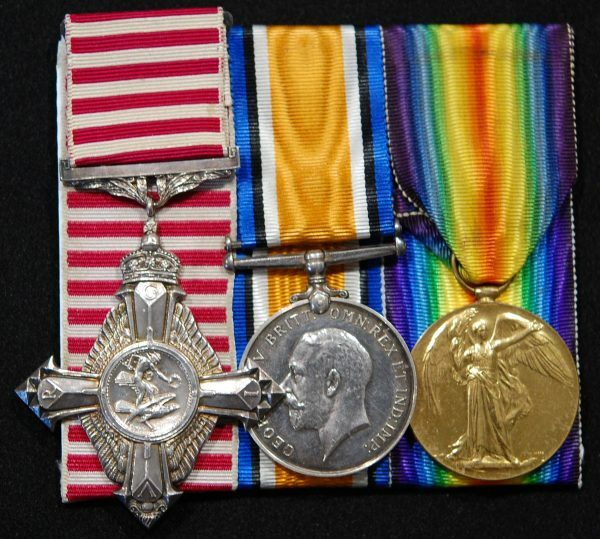 He relinquished his commission on 30 September 1921, and retained the rank of Lieutenant. In civilian life he resumed his occupation as an Auctioneer and eventually became Senior Partner of Woods Auctioneers, Northampton. 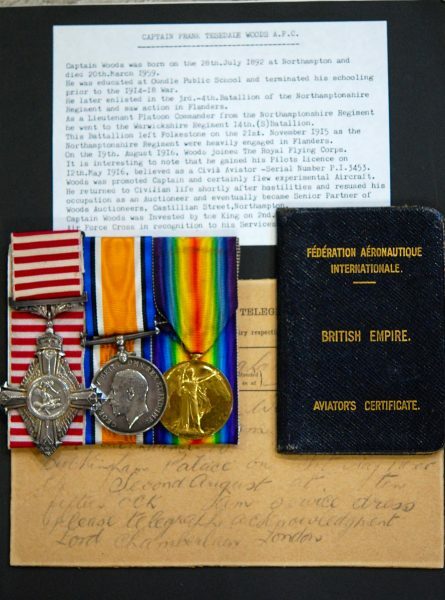 Note: Although Woods went overseas in August 1915, his Medal Index Card clearly states ‘Ineligible for 14/15 Star’. 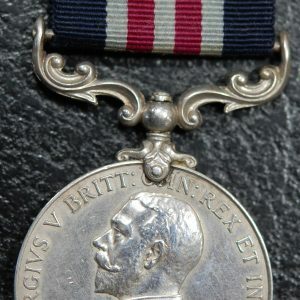 This usually means that a claimant, although having gone overseas, was not actually on the strength of any unit and so ineligible for a medal. 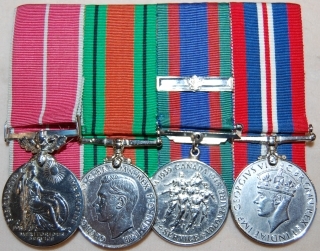 Sold together with the recipient’s original Fédération Aéronautique Internationale British Empire Aviator’s Certificate, no. 2860, dated 12 May 1916; original telegram regarding his A.F.C. Investiture at Buckingham Palace; and various copied research.